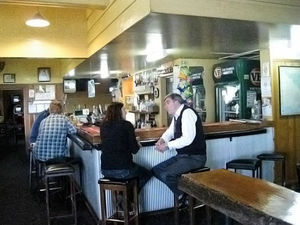 Our public bar offers a friendly environment where you can come in, have a beer, meet some great local people, have a great meal, kick back and relax. Our beers are bound to quench any thirst, with ice-cold beer on tap and a wide range of local, boutique and imports in the fridge. Wednesday Night Happy Hour – 5:30pm – 7:00pm – Spin the Wheel and Win! Pot and Parma $18.99 – 7 Nights a week.